When the snow falls, water freezes and anxiety levels increase in drivers, there is little more comforting and welcoming than the sight of a flashing orange beacon on top of a big yellow truck spreading grit on the roads. A multitude of road accidents across the central belt last week heralded the arrival of the first real snows of winter so far, and despite all the previous warnings of past years, folk still keep a-slipping and a-sliding. 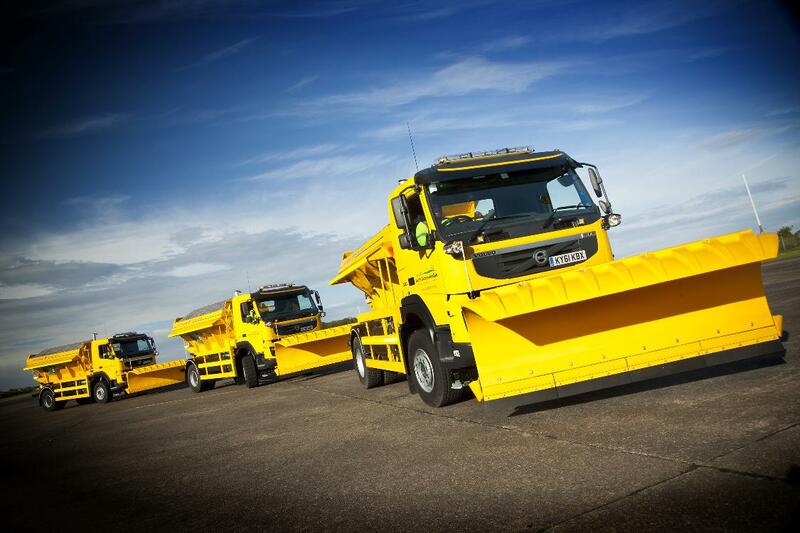 If there is one surefire, effective way to get a serious message across to folk, then do it with a smile, and that's just what Traffic Scotland is doing with their 'Trunk Road Gritter Tracker' available on all good smartphones, tablets and laptops. Log on and have a look. TS is showing in real time where the gritters are and where they have been, and using a trail of colour coded dots show how recently certain roads have been gritted or are currently being gritted. Yes, it's a bit of fun, but for those of a nervous disposition who are venturing out in low temperatures, a quick look at the Traffic Scotland website will do much to inform, advise and reassure. And they do it with a smile, as some of the gritting crews have named their trucks and these are highlighted on the 'live mapping'. Some have 'sensible' and obvious names like Snowball, Frosty and Salty Tom, whilst others are called Sophie Salt, Mrs McGritter, Slippy McGritty and Gritty McVittie. But the best ones include names such as Grittest Hits, Grittle Mix, Spread Sheeran, and my favourite Sprinklebell. Gaun yersels guys 'n'gals - grit and spread it.